Harold J. 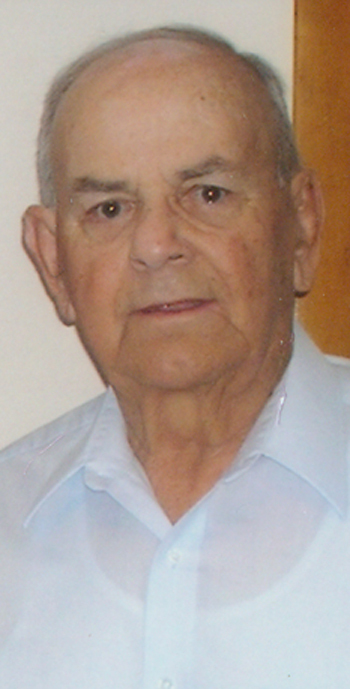 Small, 83, 45 Redding Lane, Gettysburg, died Friday morning, April 15, 2011 at his home, surrounded by his family. He was born Jan. 7, 1928 in Gettysburg, the son of the late Jacob A. and Marie Redding Small. He is survived by his wife of 58 years, Barbara Hankey Small. School. Following high school, he enlisted in the U.S. Navy and served during World War II, earning the World War II Victory Medal and the American Theatre Medal. During the Korean Conflict, Harold served another tour of duty aboard the USS Saipan. Harold was a rural mail carrier for 27 years, retiring in 1983. He was also a Licensed Battlefield Guide at the Gettysburg National Military Park for 40 years. He was a member of the Gettysburg Fire Company and the veteran fireman’s Smoke Eaters Club; a 65-year member of the Albert J. Lentz American Legion Post 202 of Gettysburg; a member of the World War II Last Man’s Club; and a member of the Gettysburg Eagles. He was a former member of the Gettysburg Elks and the Gettysburg Moose. Harold enjoyed ringing the bell as a Salvation Army Volunteer. He also enjoyed golf and fancied himself as an avid duffer. In addition to his wife, he is survived by four children, Robert “B.J.” Small and his fiancée, Needy Beigh of Enola; Cindy L. Small of Gettysburg; Nancy B. Notarangelo and her husband Mark of Harrisburg; Joyce A. Small of Biglerville; a granddaughter, Abby Dehoff of Harrisburg; a sister, Elizabeth Foltz of Carlisle; and a brother-in-law, Glenn Hankey of Gettysburg. He was predeceased by a granddaughter, Brandi Joy Small; a son-in-law, Gregory Coco; a brother, Wilbur Small; and a sister, Catherine Rudisill. A Mass of Christian Burial will be celebrated Monday, April 18 at 10:30 a.m. from St. Mary’s Catholic Church, Fairfield, with Father Michael Massero celebrant. Interment will be in Evergreen Cemetery, Gettysburg. There will be a viewing Sunday evening, April 17 at Monahan Funeral Home in Gettysburg, from 6 to 8 p.m. and on Monday at St. Mary’s Catholic Church, Fairfield, from 9:30 a.m. until the time of the Mass. Memorials can be made to Children’s Miracle Network, 611 St. Joseph Ave., Marshfield, WI 54449.